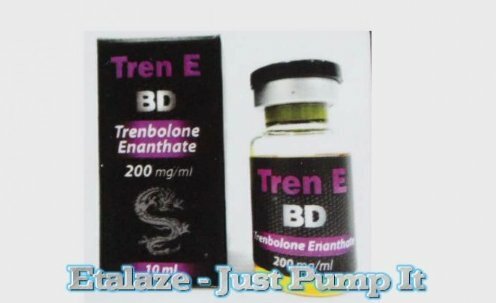 There are many benefits to Trenbolone Enanthate. What makes it an attractive option for athletes like cyclists and MMA fighters is its boost to both strength and speed. It’s also not a testosterone based steroid, thus avoiding the possibility of the development of female sexual characteristics. The steroid creates new tissue formation through stimulated protein synthesis to grow more muscle mass quickly. Also, due to its powerful cortisol-reducing and its ability to bind to the glucocorticoid receptor, it is unparalleled in terms of fat burning and weight loss. 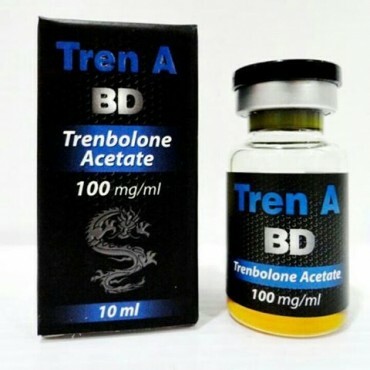 Trenbolone Acetate is known for its strength and range of uses. It is one of the most potent injectable steroids on the market. It can be successfully used for both bulking and cutting in ways that it only the stacking of other steroids would accomplish. For bulking it allows the user to control their fat gain while producing considerable mass. Tren A is used to protect lean muscle during cutting while aiding heavily in visual conditioning such as hardness and definition. Because it is not testosterone based, users do not hold water, guaranteeing that all their gains are pure muscle. This makes Tren A the choice of steroid in competitive bodybuilding. 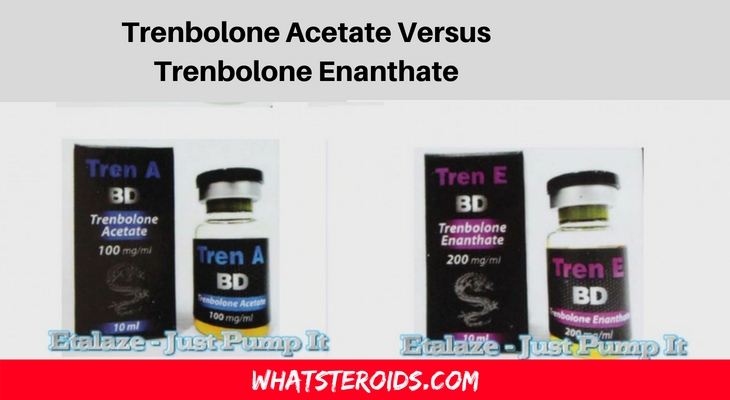 The major difference between the two Trenbolone is esters. Yes, so many naturally occurring fats, as well as essential oils, are esters of fatty acids”. Tren A has more esters, thus it tends to peak earlier than Tren E and stay in the body for far less time. The benefit of having the two separate choices is being able to decide how quickly you’d like to see results; though a few of the Tren A side effects may have you reconsider. Both Trenbolones also have different reactions within the body. It is easier for the body to absorb higher amounts of Tren E, but Tren A is known to maintain stable blood pressure levels which is helpful when maintaining muscle mass and strength. Tren A hardens muscles while promoting cutting, and Tren E is all about adding size to muscles. Must Read: Can You Just do Trenbolone? While Tren A works faster and leaves the system faster, it has the downside of side effects like insomnia, hyper-aggression, and night sweats. It also has the risk of a tren cough. Tren a cough occurs because Tren A irritates certain types of tissue. Tren A of a high concentration is more likely to induce Tren Cough. Must Read: Tren Cough: Should You Worry About It? People have reported it being rather severe (attacks of up to 30 seconds or more). One way to prevent it is to keep to a low dosage of around 50 mg. Once it’s happening, there is no way to stop it except to let it run its course. Tren E does not have all of these side effects, but it does take more patience as its esters peak and leave the body later. One of the most obvious things that makes Tren A more popular is the accessibility of the steroid. Tren E is much harder to find, so despite the side effects, many people opt for Tren A due to the speed at which it works and its availability in comparison to Tren E.
Both Tren A and Tren E serve different purposes. Neither of them is better overall, but they suit two different needs. Weigh the risks of each steroid against what you want to accomplish in what amount of time, and you should have your answer about which steroid is best for you. How Beneficial Are Intermediate-Length Steroids And If They Are At All? I’m going to be getting my hands on some trenA but I have never taken it before. What would be considered a normal dose and what is a high dose if I weigh 160 to 165? How much and how often? I would also like to know how long my cycle needs to be and what should I take for a off cycle that is easier to get ahold of and how and when it should be taken? Thank you for any help I can get. The general rule of thumb is to run Trenbolone for no longer than 10 weeks. Long term use of the drug is just too debilitating on the system, and can’t be ran safely for longer than 10 weeks. You may have heard of X lifter running Tren for 6 months straight and not showing any major side effects – but their bloodwork will indicate that they’ve done some serious damage to their organs by then. If you really want to push the envelope, 12 weeks should be the absolute maximum that you continuously run Tren. Ideally, you want Tren out of your system before exogenous Testosterone is also out, so that natural production isn’t as heavily suppressed when starting PCT.